Microsoft's new Surface tablet could well open the door for Swype and other keyboard developers on the Windows mobile platform. 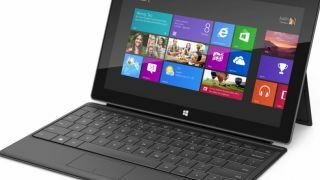 Speaking to TechRadar, John West, the Solutions Architect for Nuance, sees Microsoft's new slate as a possible turning point, as developers are currently unable to play with the keyboard in the Windows Phone OS. West said: "Windows Phone is an interesting one, because obviously Windows don't allow access to the keyboard API currently." "However, I think that given the advent of Microsoft's tablet strategy it's going to have to open up its APIs to a certain degree, to make them more flexible to get the application developers to develop as aggressively as they are doing so on the other platforms" West continued. West reckons that the opening up of APIs will aid both Microsoft's tablet and Windows Phone platforms, which would allow Nuance to deliver its new Swype keyboard, which includes voice dictation, handwriting recognition, the famous T9 dictionary and next word prediction features. He also believes that apps are key for tablet success: "People buy tablets for their apps and if you've got a limited portfolio of applications your tablet isn't destined to be successful, you've only got to ask BlackBerry about that." So Microsoft listen up - open up your APIs pronto so we can get some awesome new keyboard options on your phones and tablets, and make sure you help our apps developers, otherwise failure may well be on the cards.